It feels like the last time we had a new episode of “It’s Always Sunny in Philadelphia” was in a whole other world. Things were different then, better, the future brighter. But at least we can look forward to knowing that a new season of “It’s Always Sunny” is on the way. Season 12 will premiere on January 4 and things will undoubtedly get crazy so that will at least distract from the real world. We have gotten a few hints as to what to expect in the upcoming season. The gang will be heading to a waterpark (drunk I’m assuming!) There will be also an episode reportedly devoted to them tending bar for a full day (that seems impossible for the gang). and another episode that involves some kind of public relations disaster around Frank’s soft drink, Wolf Cola. 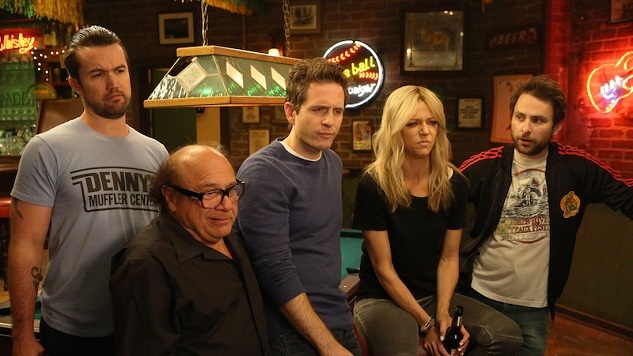 So while the world crumbles around us, especially after the first of the year, you can start watching season 12 of “It’s Always Sunny in Philadelphia” beginning January 4.